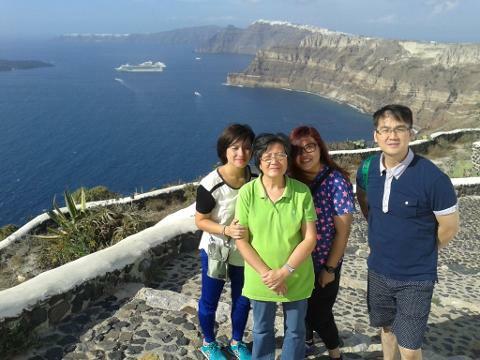 See the highlights of Santorini on a 5 hour private tour and learn about Santorini's volcanic history while visiting the caldera and Perissa, the black-sand beach. Travel to the Holy monastery of Prophet Elias and sample local produce made by the resident monks. 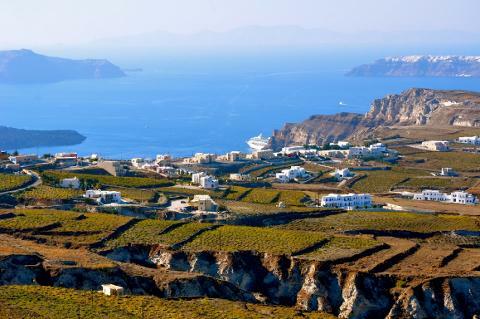 Try wine at a volcanic vineyard and then round off your day with free time in the picturesque village of Oia to enjoy the stunning views only Santorini can offer! · Visit Santorini’s caldera and learn about volcanic activity on the island. · Visit the Black sand beach and stroll along the crystal blue waters. · Enter the Holy Monastery of Prophet Elias at 2000ft and gaze at a 360-degree panoramic view of Santorini. · Taste delicious traditional treats at a family's farm stand in the countryside. 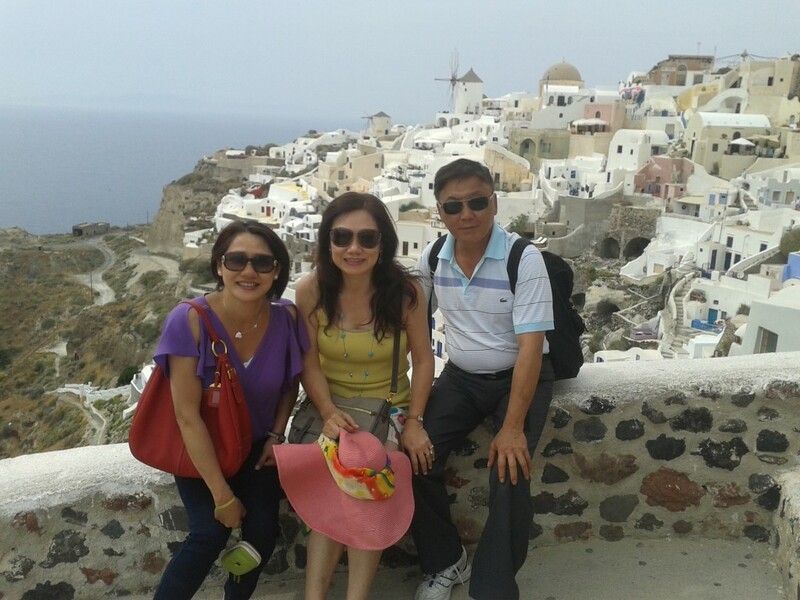 · Discover the breathtaking town of Oia and enjoy remarkable views of the Aegean sea. 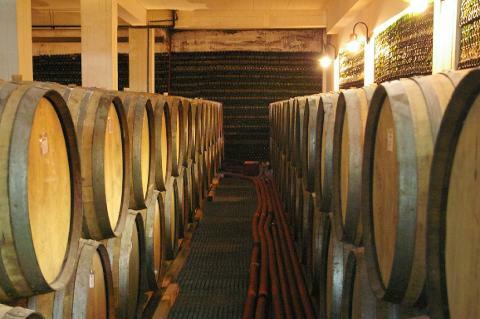 • Wine-tasting of 4 different types & styles of wine at a traditional winery. Departs Daily at 09.30 am and 3.30 pm. Additional departures are available upon request (Cruise ship travelers). Please contact us at info@winetoursantorini.com for extra available dates & times. This tour can accommodate 1 up to 8 guests, and the price is total - not per person. If you will be more than 8 guests in total, please contact us at info@winetoursantorini.com and request a custom price for your group. 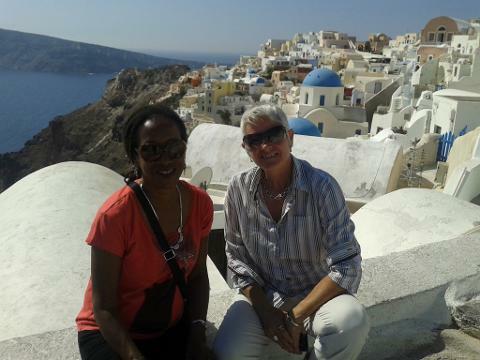 The guide/driver of this tour is a local experienced Santorini guide with vast knowledge about the island. However this trip is not a pure wine tour, it is a sightseeing island tour that includes a visit and winetasting at one traditional Santorini winery. This tour is designed for guests coming on a cruise or staying at a local hotel, willing to see more sites of the island besides a winery. 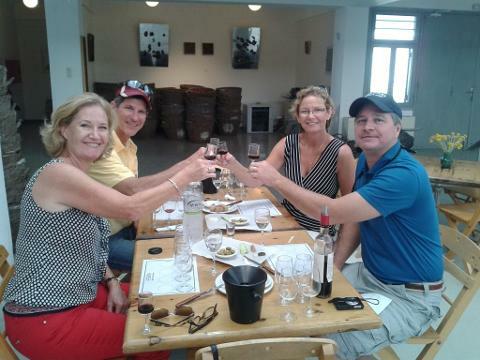 If you would like to emphasize more into wine during your trip or you would like to be accompanied by one of our wine expert guides throughout the day, please select the "premium" version of the trip "Santorini Panorama and Wine-Tasting, led by wine expert guide".